They are cheaper to run – Although green cars usually cost more to buy initially, the fuel savings you make usually make it well worth it in the long run. For example running a pure electric car costs approximately 1/5 of what it does to run a petrol or diesel car. They are environmentally friendly – Green cars are of course much more environmentally friendly compared to cars that run on fossil fuels. Although hybrid and plug-in hybrid cars still have a petrol or diesel engine, they still make use of electric power in order to cut down emissions wherever possible. They are cheaper to tax – A lot of green cars are completely free to tax but even if they’re not they’re considerably cheaper to tax compared to a pure petrol or diesel car. Cheaper insurance – A lot of insurance providers offer discounts to green car owners (eg fleet insurance, courier insurance, truck insurance and motor trade insurance) since they’re generally safer to drive and therefore less likely to be involved in an accident. Hybrid cars – Hybrid cars have a petrol or diesel engine as well as an eletric motor. The electric motor’s battery is powered by the energy harnessed when the car brakes or sometimes from the engine. Plug-in hybrid cars – Plug-in hybrids also have a petrol/diesel engine as well as an electric motor. The difference is that they can be charged at the mains. 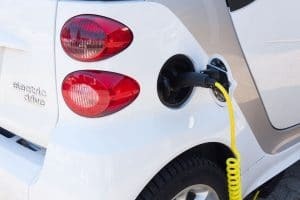 Electric cars – As the name would suggest, electric cars run purely on an electric motor and don’t have an engine that requires fuel. You can use any online insurance comparison service to get quotes for green car insurance very easily. The vast majority of insurance providers cover green cars and often they will offer a discount of up to 5% to green vehicle owners. Just having a green car itself is enough to make a great saving on car insurance but there are other things you can do in order to keep the cost of insurance to a minimum. Get a limited mileage policy – Limiting your mileage will mean you’re less likely to be involved in an accident and therefore insurers can offer you a better rate. Increase your excess – Increase the amount you’d pay in the event of a claim is a very easy way to cut down your premium. Get quotes from different insurance providers – This is an obvious way to save money since it lets you compare quotes very easily and pick the best one.